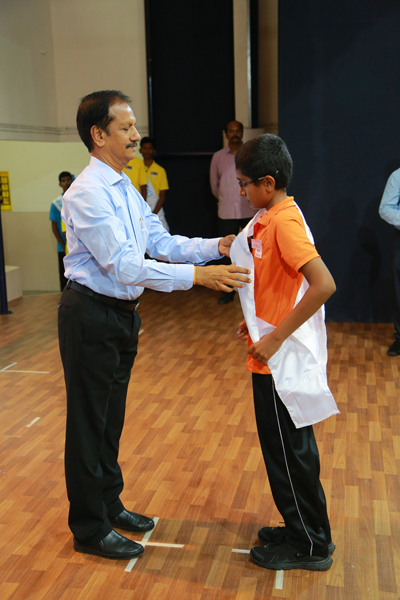 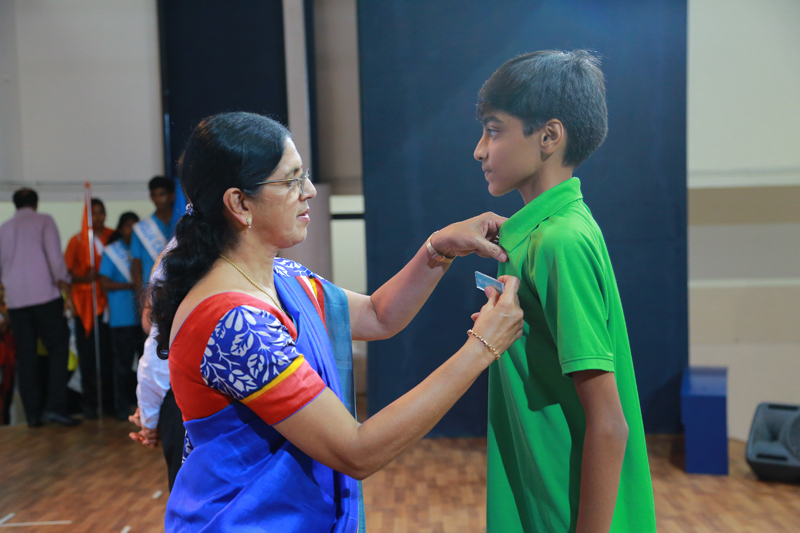 'If your actions inspire others to dream more, learn more, do more and become more, you are a leader' .Investiture ceremony is a day when students stand on the brink of a new chapter. 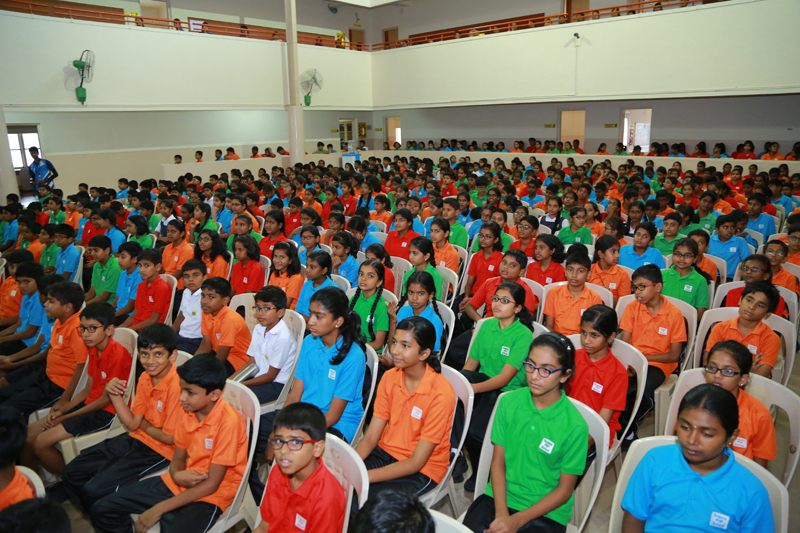 It marks a significant beginning of the new academic session. 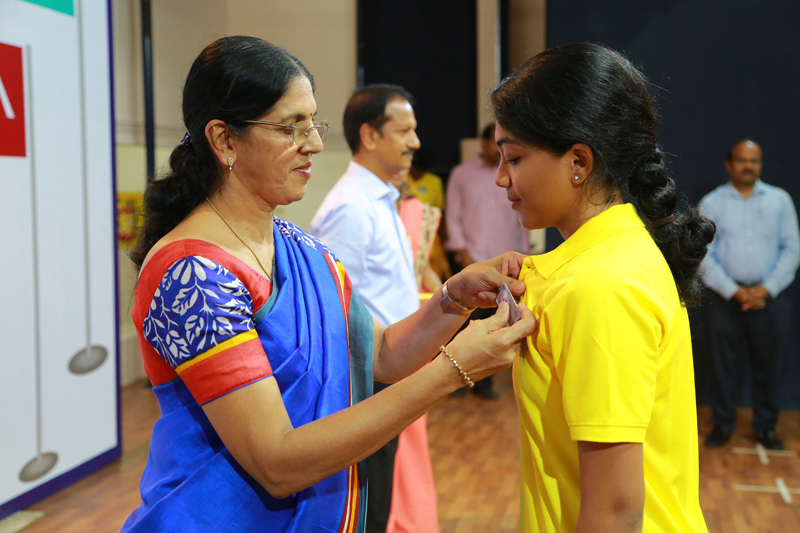 The elected leaders prepare themselves to don the mantle of leadership and discharge the responsibilities entrusted upon them with commitment and integrity. 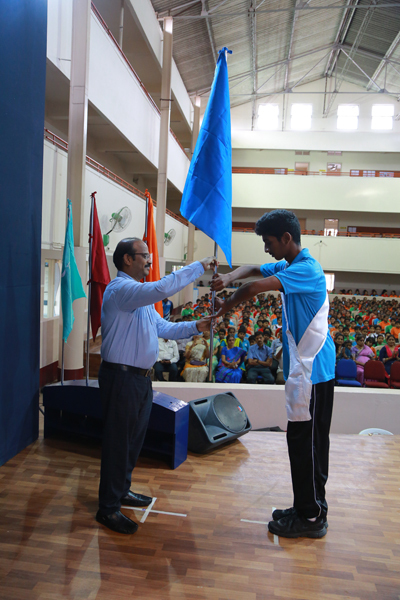 The election was conducted online and the results were announced immediately.On 22nd June 2018 the new office bearers took oath to abide by the school rules and uphold the principles of loyalty, truth and honour in high esteem. 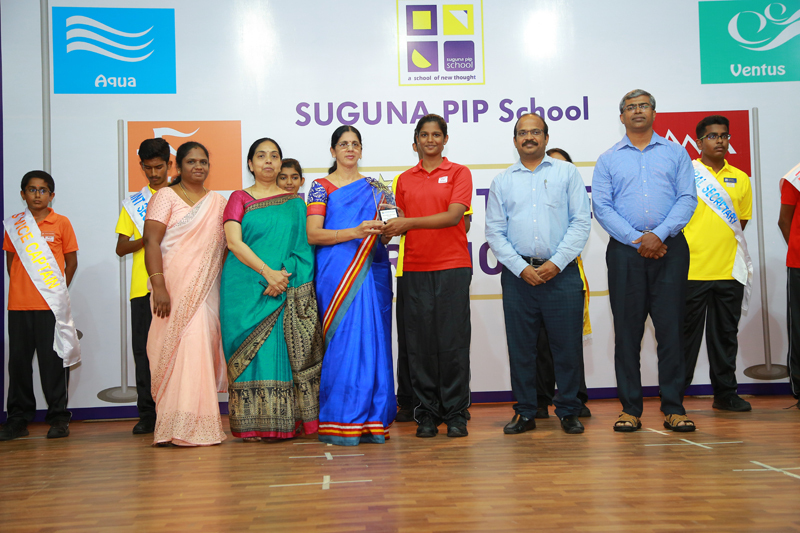 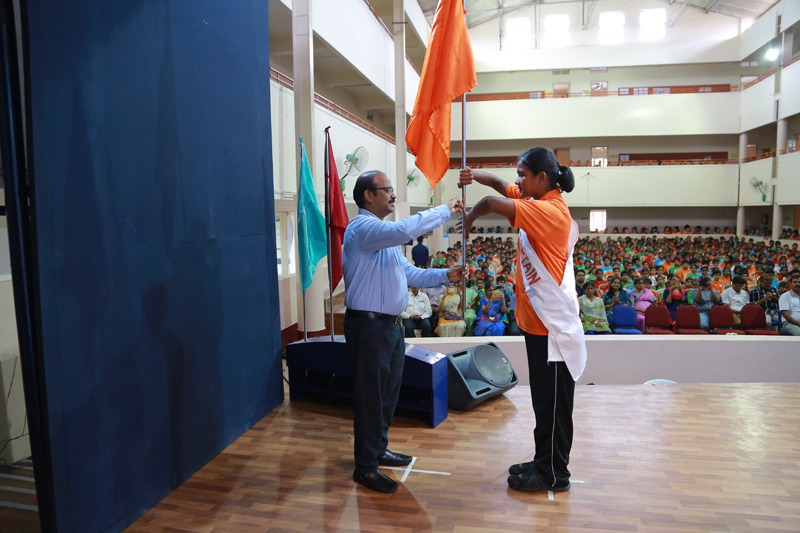 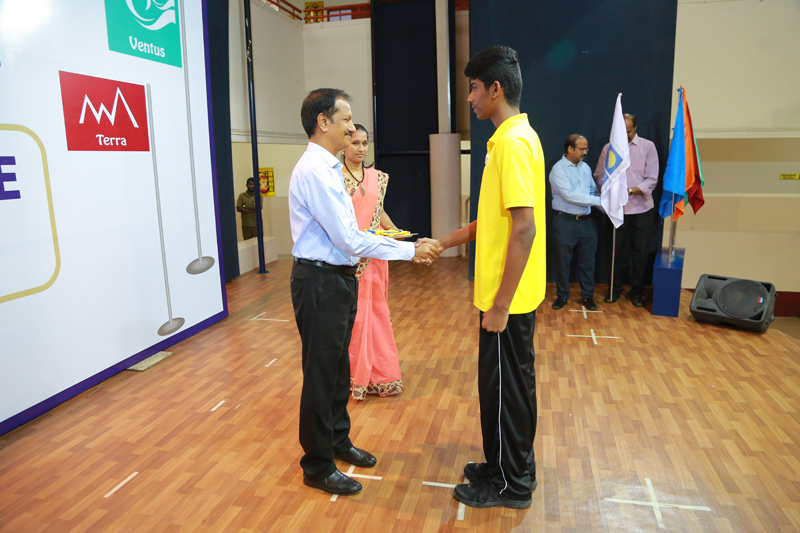 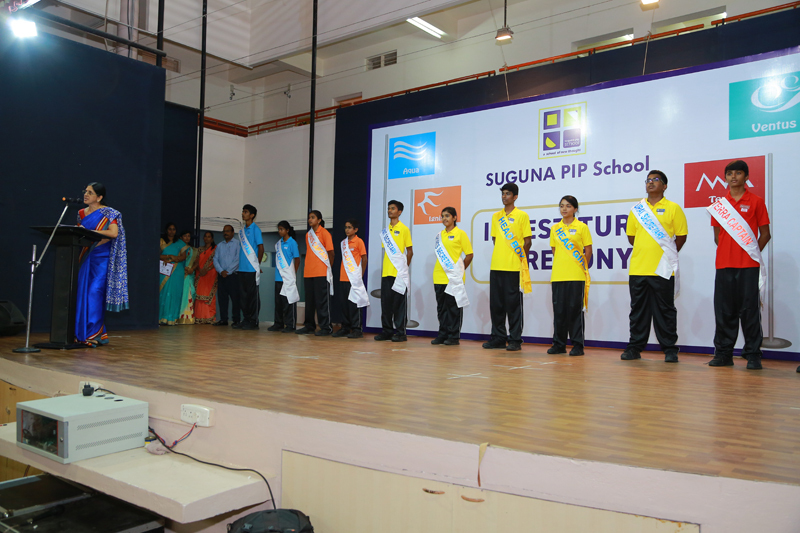 LN Sir, Suguna Ma’am and Poovannan Sir presided over the function.Parents of the elected members were invited to witness their children take the oath.The newly elected office bearers received their badge from Suguna Ma'am, their sash from LN Sir and the house flag from Poovannan Sir.